Visit any cemetery around the world and you will spot tombs, mausoleums, or headstones commemorating those that are buried there. Some may bear poignant quotes, poems, pictures of the deceased, and maybe even little epithets like "beloved mother, dedicated brother, or hot wing eating champ of '06" that describes their lives. Aside from the memories in our head and the feelings in our heart, it is all we have to remember these people by. However, now imagine that all we have to remember the dead was a little writing about their life carved right into their haunting white skull? That is what awaits in the Neamt Monastery. Neamt Monastery is a Roman Orthodox settlement in northeastern Romania. Built in the 14th century from the generosity of King of Moldavia, Stephen the Great, Neamt Monastery is one of the oldest monastic compounds in Romania. While some monasteries have fallen to ruin, the Neamt Monastery is still home to monks and nuns today, prized as an example of Moldavian architecture as well as it's macabre collection. Gravediggers always have found work in Neamt Monastery. Sometimes it is digging holes for some of the older nuns and monks that have recently passed on, other times they are digging up brothers and sisters that have long since passed on. Ostensibly, visitors come to view the architecture, art and the compound's extensive and ancient library, but a quick venture into the basement of Bogoslav Church and visitors will be able to see a visible history of the dead written across 530+ skulls. All those hollow eyes staring off into nothing is a disconcerting sight, but these aren't trophies of some horrible atrocity or even the by-product of needed more room in the cemetery grounds. The skulls that are held here are willing given to keep the histories of the devout that dedicated their life working and worshiping in this holy place. Although Neamt Monastery was fist mentioned in texts in the 14th century, the practice of digging up and preserving dead monks at Bogoslov Church didn't start until sometime in the 1700s. Previously, only the most treasured objects of the bishops of the church were stored, including the objects of the lesser known Romanian Saint Paisius Velichkovsky that once lived in the monastery, but somewhere along the line the monastery decided that all those who lived in the monastery deserved remembrance. According to the Roman Orthodox monastic tradition, after the bodies of the deceased are buried, their bones spend seven years within the earth before being dug up and placed in the basement of Bogoslov Church. The skulls are cleaned of any debris before being carefully carved and painted with the name of the deceased as well as their duties within the monastery. The skulls are decorated in such a way that they almost look like small headstones placed right on the top of their heads. However, while stone can only be worked in so many ways, the amount of detail put into the painting is far superior. Some of the older skulls even have tiny portraits pain-stakingly placed alongside the epithet. While all who wish it are now stored, the most revered bones still belong to previous bishops, getting the most prized spots and protection from the elements. Neamt Monastery is prized for its library of books with ponderous tomes dating back to 1429. However, this collection of bones is a far more fascinating library. The skulls in this library of bones are special, each telling a story of those that lived here written more clearly across their face than it ever was when they were alive. This collection of bones isn't some morbid tourist attraction like the artfully arranged 40,000 skeletons at the Sedlec Ossuary ("Church of Bones") in the Czech Republic. The collection is treasured in the hearts of many Romanians because it gives concrete proof that these men and women were there. They are not on the pages of some history book that has been written and re-written by those who can change history with the stroke of a pen and can erase people just as easily. Within this quiet basement, history is real and lives on in the bones of those who came before, a collection that continues to grow. The collection at the Neamt Monastery is considered one of the brighter sides of dark tourism. Through this books, and a handful of others like it, you'll learn that some of the most popular tourist attractions are actually built on the backs of blood and tragedy. 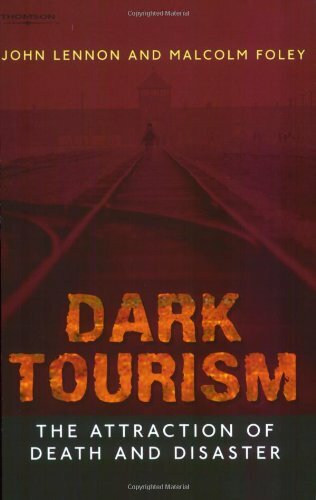 While many may balk at paying a visit to this collection as "creepy" or "dark," they can't argue that most have an attraction to the darkness through attractions much worse that Neamt. Although this is a fascinating article, I don't think I would like to visit Neamt.